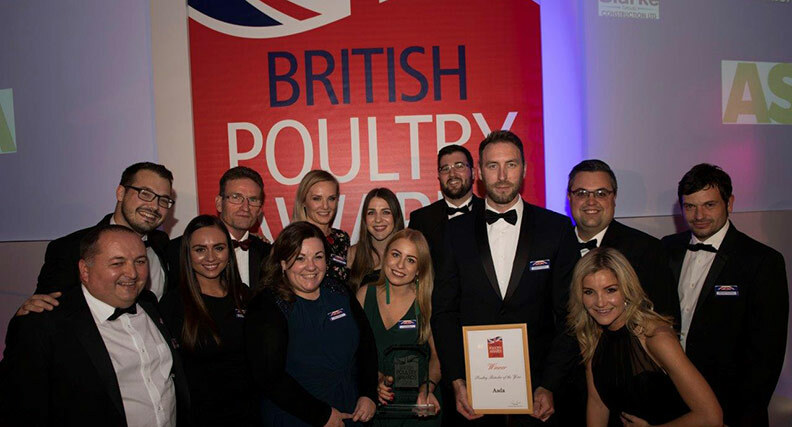 As per previous years, the Poultry Awards held at the Sheraton Grand London Park Lane hotel on Thursday 20th September, was an event not to be missed! The awards ceremony hosted by the fantastic Helen Skelton (former Blue Peter & Countryfile presenter) brought together the likes of Asda, Aldi, Morrisons, Moy Park, Avara and many more; totalling over 250 industry professionals. Clarke Group were pleased to share a table with both Keyo and representatives from Avara, for an evening of excellent food, soul music, entertaining comedian and a casino until late. There was also a raffle to raise funds for the nominated charity – Bloodwise. Clarke Group were proud to sponsor the main award of the night: ‘Poultry Retailer of the Year’ which was presented by our very own Damian Lawson (Poultry Site Manager). The winner for a consecutive year was Asda. A huge congratulations to all the winners and nominees! And a big thank you to the organisers for a great evening which was enjoyed by all.